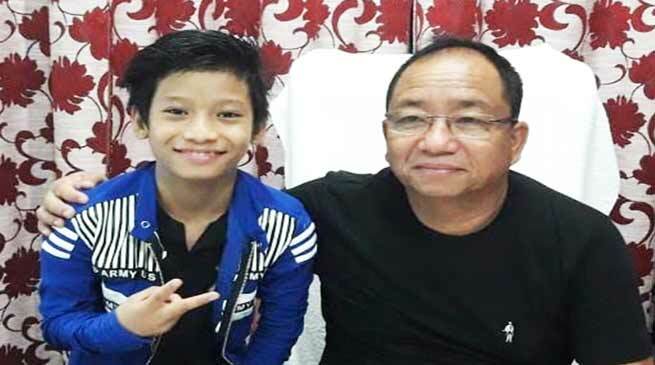 Itanagar MLA and Parliamentary Secretary PWD, Techi Kaso appreciated the performance of Tamman Gamnu on stage of reality show Dance India Dance(DID) Little Master held in Mumbai recently in which Gamnu secured 2nd position. Gamnu and his family meet Techi Kaso at his resident at Borum where kaso felicitated Gamnu and his family members and appreciated his dancing at a very small age. Kaso said that winning and losing is a part of game and life. He motivated Gamnu to carry his Dance art in future with his education career as a challenge to become a good citizen which shall be an example for others. Kaso also contributed a set of computer and ask him to make a proper use of it for his education purpose. Gamnu DID 2nd runner-up overwhelmed with the warm reception, expressed his gratitude and shared his four-month-long journey of DID season 4 and thanks one and all those who have voted him and lots of love and affection given to him which made him success. He also assured to carry forward his journey in any platform.